COLUMBIA, MS (WDAM) - A group that helps Mississippi National Guard soldiers and other troops who were wounded in combat received $5,000 Tuesday from an annual veterans gathering held last November in Columbia. 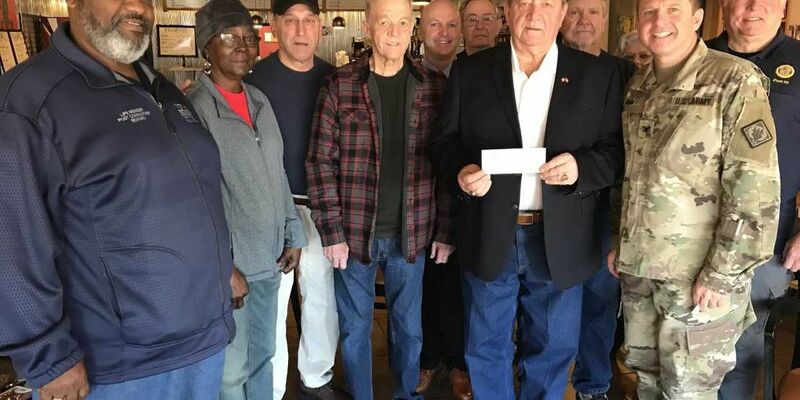 The Wounded Minutemen of Mississippi got a check from the organizers of the 5th Veterans Picnic and Car Show, which was held at the Columbia Water Park on Nov. 11. The Wounded Minutemen of Mississippi hosts a golf tournament at Pine Creek Golf Club in Purvis each year to benefit wounded soldiers. Last year during the tournament, checks for $3,500 were presented to 14 wounded veterans. In the last 8 years, the event has raised about $242,000 and has been able to help 53 soldiers and airmen. This year's tournament will take place on Apr. 9.